Depiction of a human sacrifice ritual at El Tajín (Mexico). Source: Wikipedia. Human sacrifice is usually studied within the context of a single culture but viewing the practice on a comparative scale could help answer questions on how ritual, religion, and social cohesion influence the evolution of large-scale complex societies. 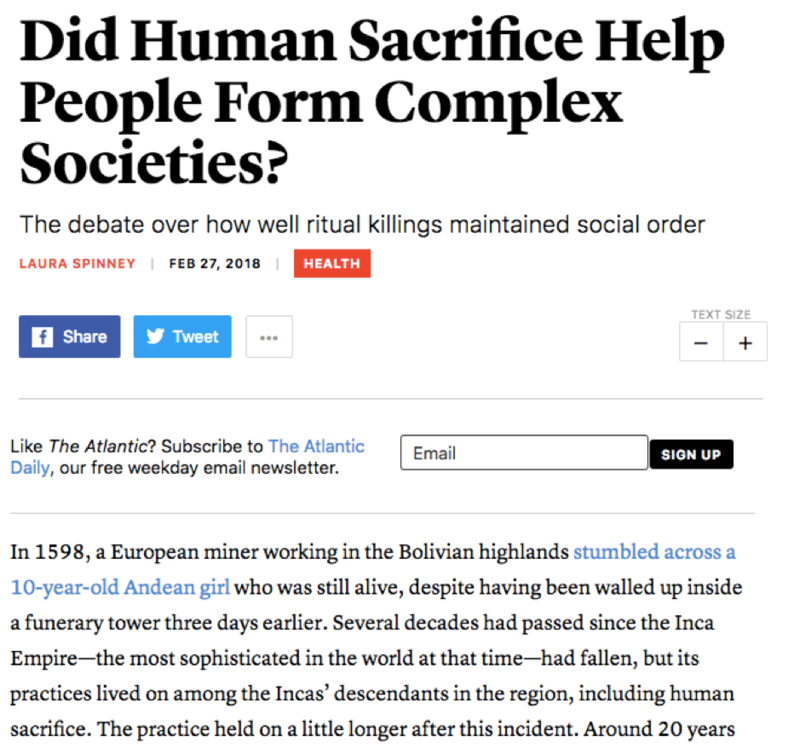 Laura Spinney’s recent article in The Atlantic outlines the Seshat project’s work on testing theories attempting to explain the rise – and fall – of human sacrifice. The Seshat team defines human sacrifice as the deliberate and ritualized killing of an individual to please or placate supernatural beings (including recently deceased ancestors). One theory that the Seshat founders tested was that human sacrifice is a destabilizing factor rather than a form of social control. This destabilizing effect becomes particularly strong when societal size exceeds a million people. Seshat founder Harvey Whitehouse explained to Spinney, “Our suggestion is that this particularly pernicious form of inequality isn’t sustainable as societies get more complex.” In larger, more complex societies, human sacrifice is often abused by rulers to promote fear and therefore becomes detrimental to social cohesion, increasing the chance of internal rebellion or external conquest. The Seshat data suggest the spread of early world religion (based on the concept of a “big god” rather than a god-king) played a major role in the disappearance of human sacrifice. 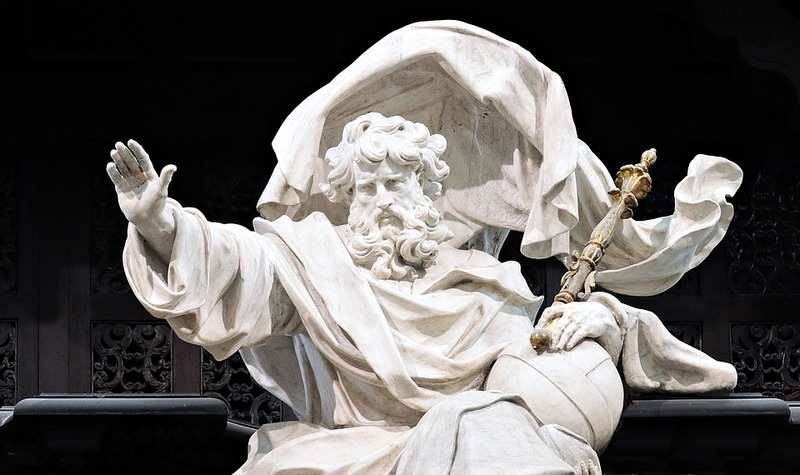 It appears that the spread of religions in the first millennium BCE that feature moralizing big gods led to increased social cohesion in complex societies. This theory will be tested soon using the power of the Seshat: Global History Databank. For more information on the study of human sacrifice and the role of the Seshat project, read Spinney’s article.